JClone sent me two new singles for his friend, BeeJayRymes, titled Down Low (Your Grace) and On Top. Omoniwa Micheal Omobolaji or "Beejayrymes" as artistically known by a lot of people is an unrepentant gospel, sensational, sonorous, celestial, prolific and an unconventional songwriter/singer that hails from Iyara, Ijumu LGA of kogi state, Nigeria. His passion made him study music in FCE Okene and later Theatre and Performing Arts in ABU Zaria. Persistent pressing into God and his quest for intimacy helped him discover the only one that has the ability to make him permanently high (The Holy Spirit). And since finding purpose, he has been able to use his unconventional style to re activate God's true love in the hearts of many. 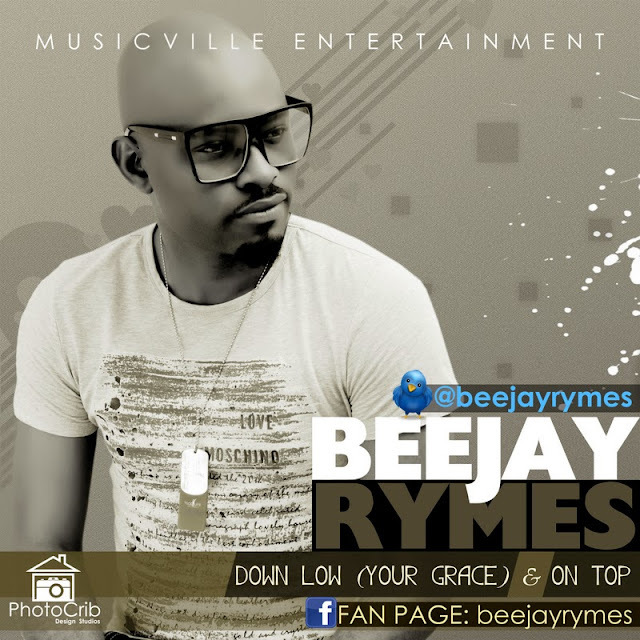 He has been led of the holy spirit and has gone to parts of Nigeria especially around the North and has worked with artists like 29:11, J.Clone, Flames, Dr Jay, Jbox ... Beejayrymes is an unrepentant member of Godlife Assembly Zaria. A songwriter/arranger/performer/actor with musicville entertainment, who has been chosen to stand in between Babylon and the church, bringing people through the gift of music God has bestowed on him. He debuts with 2 hot singles that would get you rocking. 'Downlow' was produced by Dr Jay (Lagos) while 'On Top' was produced by JBox (Kogi).